First, paint the outside of the plate orange. 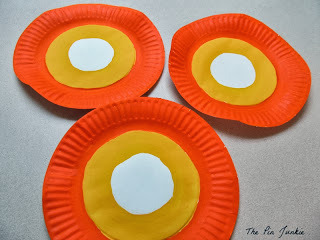 The pattern on the plate makes a good guide and helps to make nice even circles. 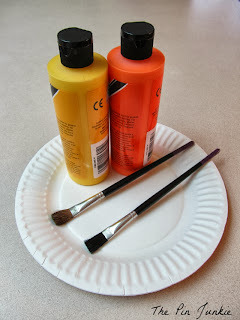 Let the orange paint dry before painting the inside circle yellow. That way the paint won't smear or run together. Leave the center of the plate white. When the paint is dry, cut the plate in half. Then cut the halves in half again. You should have eight equal pieces that look like candy corn. I tried using a paper hole punch and threading the twine though the candy corn, but I didn't like the way it looked. I ended up just taping the paper plate pieces to the twine. I used twine for the banner, but ribbon would look good too. There you go! 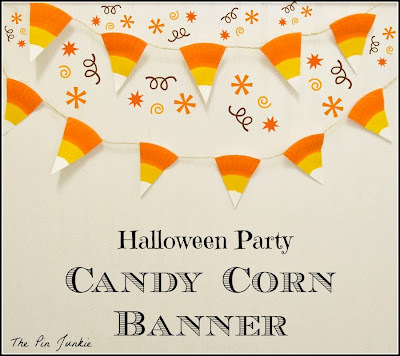 A super simple and fun candy corn banner for Halloween! Inspired by this pin for candy corn banner. I like the colors of candy corn too, but hate the way the real stuff tastes! Thanks for pinning! This is super simple and way easier than I was expecting! Great job! Thanks for the invitation to your party Randi! I linked up! Oh what a fun project! I have a couple of great-nieces that I could do this with! They would love it! Thanks for sharing! Blessings from Bama! I agree. Making this made me wish I had some little kids around to help me! So clever! Thank you for sharing at Give Me The Goods! I don't like the gore of Halloween, either. We don't really decorate for Halloween- just Fall in general, but I love the candy corn banner! My boys would love putting this together :) Visiting from Whimsy Wednesdays! This is adorable, I love your technique, much easier thn trying to cut little pieces of paper to the right size. Oh this is so cute and it looks easy too. I agree with you , I like cute Halloween decorations instead of scary. Love this candy corn banner. 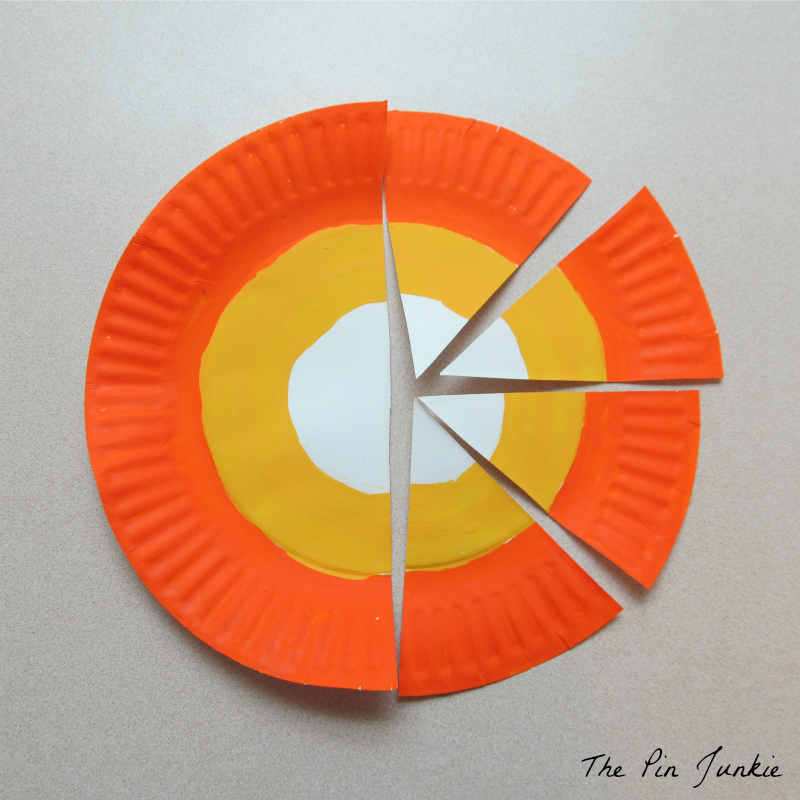 So clever how you made it from painted paper plates. Thanks for letting me know about this great giveaway, Kayla! I entered. I'm really not a fan of all the candy corn crafts right now, but this one is adorable!! I'm not a big fan of candy corn either. I absolutely hate the taste, but the colors are nice for fall. So glad you like the banner and thanks for stopping by Jill! What a great idea to use the paper plates. Love the way they give dimension to the garland! thanks for sharing with SYC. Such a cute idea! I'm a new follower from the Junkin Joe Linky Party, would love for you to follow back! This is so simple, so genius, so cute and I LOVE it. Amazing job! Ah, I can't believe this cute banner came from a paper plate. You did such a good job and I seriously LOVE your banner. I want to make one to hang up with the banner I already have hanging on my mantel. Thank you for sharing how you made this and for linking up to Thrifty Thursday. This is such an absolutely adorable idea!! Thanks for sharing! This is charming! I can't wait to do this with my kindergarten class! Thank you! This project is great for kids. I hope your kiddos have fun making this! Thanks for the feature Cheryl! I appreciate it! So cute! My kids love any project that includes paint so they'd go for this one. Clickin' in from Pin It Monday. Thanks for stopping by Shana! I hope your kiddos have fun making this project! Paper plates - genius! This is just too cute! So cute! I pinned it! How easy is that? I really MUST make one! That's so cute, and so easy to make! I've been on the look out for new ways to decorate since my 2 year old has really gotten into Halloween. He loves all the decorations. Visiting from the A Round Tuit linky party. So cute and what a clever idea! Thanks for sharing at my Twirl & Take a Bow Party. Stop by House on the Way today to see your banner featured! Thanks for the feature Leslie! I appreciate it! What a cute project! Love it! Visiting from the Ladies Only Blog Share! I LOVE this! It has so many things that make it the perfect craft. It's cute, it's simple to make and it is extremely frugal. With all the going for it, it was simple for me to make it the Dare to Share Feature of the Day.. :) You can see your feature here. 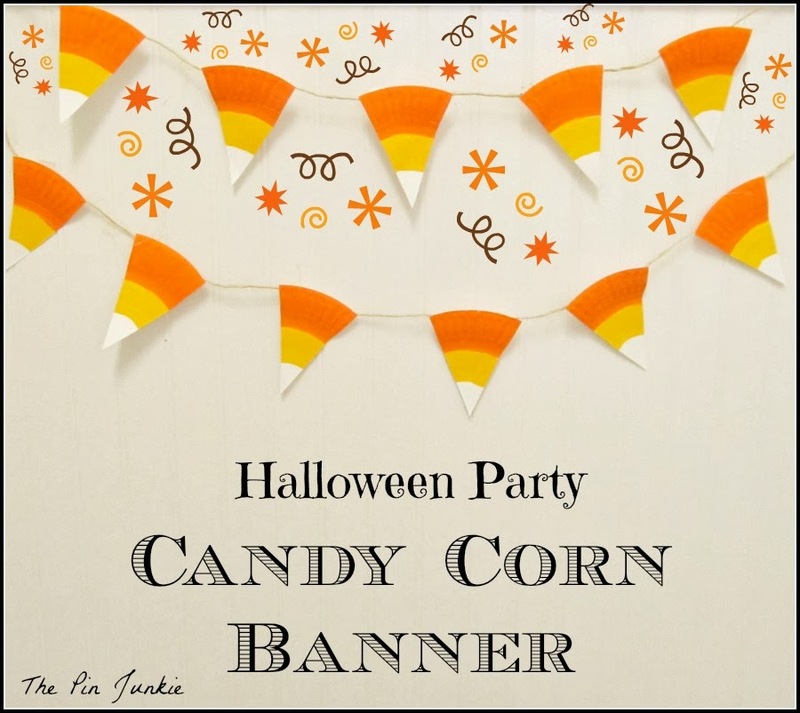 http://www.pamspartyandpracticaltips.com/2013/10/candy-corn-banner-feature-of-day.html Thanks so much for linking up! Thanks for the feature Pam! I appreciate it! Your button is on my feature page! Thanks for the feature Claire! I appreciate it! Your button is on my feature page! How simple and fun is that! Love it! Thanks for the feature Marti! I appreciate it! I added your new button to my feature page! Thanks so much for the feature Mindie! I appreciate it! I saw this on a Bacon Time & had to check it out. Now I see it's paper plates?!?? Another level of awesome! So easy! Love this idea!! Thanks for linking up at Romance on a dime!! Great idea Bonnie! Easy too. Happy Fall! This is fun to do with kids!!! !